The team here at the Dragon Propulsion Laboratory has kept busy building multiple Linux clusters as of late . Some of the designs rely on spinning disks or SSD drives, whereas others use low-cost USB storage or even SD cards as boot media. In the process, I was hastily reminded of the limits of external storage media: not all flash is created equal, and in some crucial ways external drives, SD cards, and USB keys can be fundamentally different. Mass storage performance lags that of working memory in the Von Neumann architecture , with the need to persist data leading to the rise of caches at multiple levels in the memory hierarchy. An access speed gap three orders of magnitude between levels makes this design decision essentially inevitable where performance is at all a concern. (See Brendan Gregg’s table of computer speed in human time .) 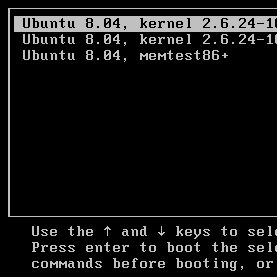 The operating system itself provides the most visible manifestation of this design in Linux: Any RAM not allocated to a running program is used by the kernel to cache the reads from and buffer the writes to the storage subsystem , leading to the often repeated quip that there is really no such thing as “free memory” in a Linux system. An easy way to observe the operating system (OS) buffering a write operation is to write the right amount of data to a disk in a system with lots of RAM, as shown in Figure 1, in which a rather improbable half a gigabyte worth of zeros is being written to a generic, low-cost USB key in half a second, but then experiences a 30-second delay when forcing the system to sync  to disk. How containers are stored on disk is often a mystery to users working with the containers. In this post, we’re going to look at how containers images are stored and some of the tools that you can use to work with those images directly –Podman, Skopeo, and Buildah. When I first started working with containers, one of the things I did not like about Docker’s architecture was that the daemon hid the information about the image store within itself. The only realistic way someone could use the images was through the daemon. We were working on theatomic tool and wanted a way to mount the container images so that we could scan them. After all a container image was just a mount point under devicemapper or overlay. Container storage configuration is defined in the storage.conf file. For containers engines that run as root, the storage.conf file is stored in /etc/containers/storage.conf. If you are running rootless with a tool like Podman, then the storage.conf file is stored in $HOME/.config/containers/storage.conf.